I (Gernot) have not yet found any automatism supporting meaningful diff of diagrams or images. In my opinion somebody needs to care for new versions of diagrams. It can help (automatically) include the modification date in a diagram (some modeling tools support this feature). 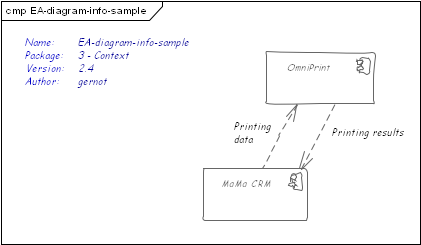 In the diagram below you find an example - version notes are shown in the upper left corner.